Winshuttle enables businesses to control vendor creation and maintenance processes without programming. Winshuttle products can model cross-company vendor creation procedures through their native integration with Microsoft SharePoint workflow and Microsoft Office. 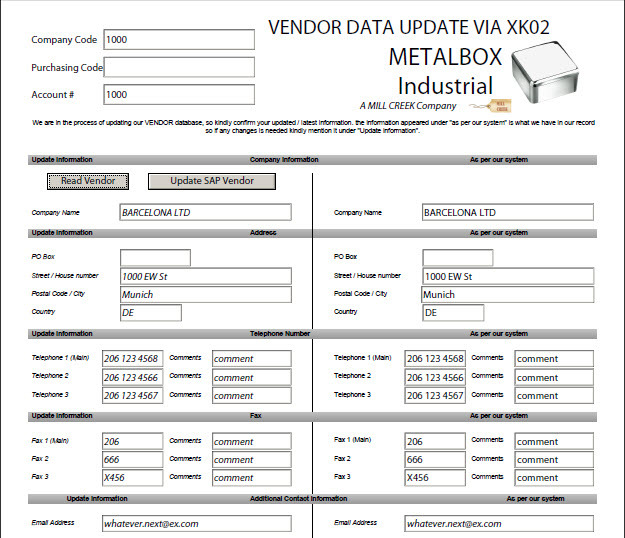 Users can also use Excel to extract and update vendor information for periodic maintenance of vendor data. Winshuttle provides the business the tools for non-programming solutions for vendor master data management. Winshuttle solutions enable businesses to rapidly deploy and adjust to the specific needs of their vendor master data problems. 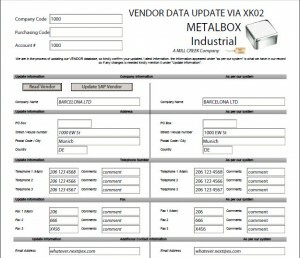 Do I have to use XK01 to create and XK02 to change my vendor information? How are vendor creation and maintenance processes modeled? Winshuttle Central uses SharePoint workflow to model processes. How do I extract vendor information from SAP using Winshuttle? Winshuttle Query enables users to securely extract all relevant vendor information form SAP. Can I extract and upload from the same MS Excel workbook? Yes. Query enables users to extract vendor data into a workbook and Winshuttle Transaction enables them to upload updated data from the same workbook. Will extracting vendor information from affect my SAP system performance? No. Query throttles extraction queries so SAP system performance is not affected.